Osteoarthitis (OA) leads to progressive loss of articular cartilage, pain and joint disability. An acute injury constitutes an important risk factor for early OA, determining an inflammatory process responsible of cartilage degeneration and muscle atrophy, due to the joint pain and immobility. The study aims to assess the effects of conjugation of physical activity and diet enriched by olive tree compounds [extra virgin olive oil (EVOO) and olive leaf extract (OLE)], on the musculoskeletal system in OA rat model. OA was induced by anterior cruciate ligament transection and confirmed by Mankin and OARSI scores. Rats were subjected to physical activity on treadmill 5 days a week for 10 min daily and fed with experimental diets (standard diet enriched with Sicilian EVOO, Tunisian EVOO and Tunisian EVOO-OLE) for 12 weeks. Immunohistochemistry was used to evaluate IL-6 and lubricin expression in cartilage tissue and ELISA was used to quantify these proteins in serum at different time points. Histology and histomorphometry analysis were done to valuate liver steatosis, muscle atrophy and cartilage pathological changes. 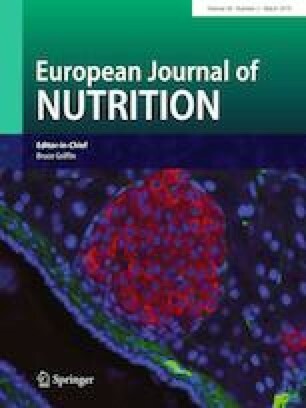 Compared to the OA group, the experimental groups showed general increased lubricin and decreased IL-6 expression, significant muscle hypertrophy and no signs of liver steatosis, suggesting the beneficial effects of physical activity coupled with EVOO-enriched diets on rat articular cartilage. Interestingly, the best result was shown for Sicilian EVOO-enriched diet. In conclusion, the conjugation of physical activity and EVOO-enriched diet determines a significant articular cartilage recovery process in early OA. Marta Anna Szychlinska and Paola Castrogiovanni contributed equally. This study was supported by the University Research Project Grant (Triennial Research Plan 2016–2018), Department of Biomedical and Biotechnological Sciences (BIOMETEC), University of Catania, Italy. The authors would like to thank “Oleificio Guccione di Divita Vito e G. SAS” for providing us the extra virgin Sicilian olive oil and Prof. Iain Halliday for commenting and making corrections to the paper.